When my students compete in tournaments with the mindset toeither win OR not lose, then both the coach and competitor go into the match focusing on self-awareness and growth. For our students, ‘not losing’ means remembering to relax, focusing on their breath, control, and on self-improvement. For coaches, this means helping students practice humility while exhibiting self-confidence, knowing what to look out for, and creating safe and healthy competitive environments. By focusing on these elements and leaving our egos behind, we can help ensure students don’t lose, even when they don’t win. Unfortunately, when the heat of competition takes over, some coaches forget this. I’ve seen too many instructors get carried away at tournaments when screaming commands to their competitors. I (and I’m sure other spectators feel the same way) get frustrated with instructors who ‘over coach’ aggressively from the sidelines, shouting out techniques over and over from the top of their lungs. Classic example: One coach screams at their competitor – “go for the arm lock! 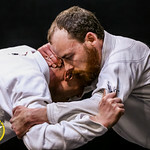 !” – the other coach turns around and yells back at his competitor – “he/she is going for an armlock!” – What’s worse? 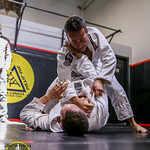 Mixed and confusing commands: “Go for the arm bar! Wait no, for the triangle! Go for the triangle!” – no student wins in this situation. This can be stressful and disadvantageous to competitors in the moment. It is also the type of coaching that can manifest into an obsessive fixation on competitive success, which can be detrimental to students’ growth. When tournaments become all about winning, competitors often experience greater difficulty learning and growing, within and outside of the competition. Their desire to win may blind them from seeing potential opportunities during and after the match. What’s more, after losing a tournament, that competitive desire is followed by self-disappointment and defeat. This vicious cycle can paralyze a student’s ability to reflect, learn, and move forward. So, here’s my question: What kind of growth do you want to see in your student? Are they players in a video game that you want to control in the match in order to win that medal? Or, do you want to see them come to their own conclusions within the stress of the match and grow as individuals? In Martial Arts, it’s impractical to try and control the player in the game. It’s their game, not yours. We are not there to work our students like puppets on a string just for the win. Our job is to look out for what they might be missing – whether that’s keeping up their guard, focusing on their footwork, or watching the time. We’re there to encourage our students to do better by giving them constructive ideas on how they can change the fight to their advantage. All too often coaches forget to exhibit the virtues that they preach to students. If you think your most important role as a coach is to win matches, then you are losing, and your students will lose too. Let’s focus on not losing by helping our students grow as individuals so that they become stronger and better people, both on and off the mats. I always say that coaching is a lot like parenting. Both involve knowing the inner-workings of human psychology. And, at the end of the day, we both want to see our young people grow and walk on their own two feet. That, to me, is a win. 3. What is the difference between “wanting to win” and “wanting not to lose”?